This project stands out as a personal favorite. I am honored to serve as a Scoutmaster for Troop 387 in Idaho Falls since September of 2016. Prior to this position in Scouting, I served as a Den Leader for my son’s Cub Scout Pack for 5 years. The opportunity to create a logo and t-shirt design for the troop and the pack was a very fun project. I wanted to create a vintage feel with an athletic font type to reestablish the team mentality that we promote through our program. 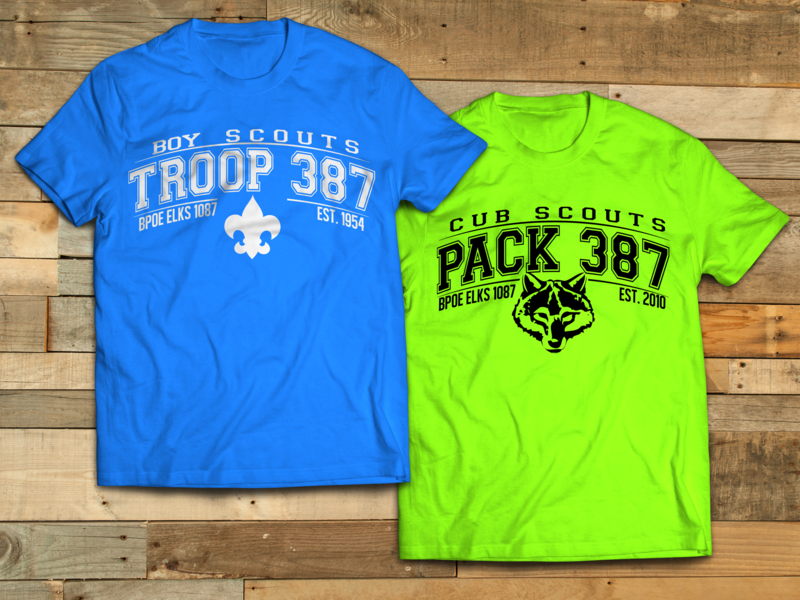 The bright color of the pack shirt makes it easier to keep track of the Cub Scouts on outings and at camp. The blue was chosen by the Scouts in the troop.